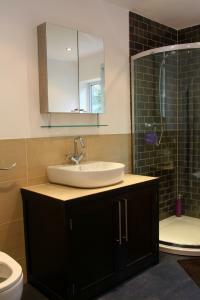 This sink unit has contemporary shaker doors with large steel bar handles. The top is rebated to be tiled to match the bathroom. 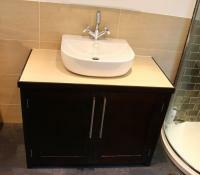 Inside the plumbing is concealed behind a false panel and the cabinet is shelved. Construction is from walnut with a dark stain and water resistant polish.